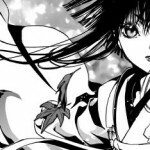 Thanks to the sharp-eyed CLAMP fan nokiirat at the fan community, CLAMP_Now, we now have our first glimpse of CLAMP’s mangette artwork. 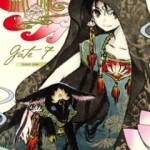 The image was originally posted along with the Mangettes: Gate 7 listing on Amazon.jp. Personally I’m happy to see that the art style still has a look distinctly similar to that of XXXHolic, one of CLAMP’s currently running series, which means CLAMP fans can likely assume that it’s Mokona, one of the four-woman team, who’ll be head artist. Though it’s always fun seeing if CLAMP will take a different artistic style with their new series’, I don’t think I’m ready to give up the sleek visuals of XXXHolic and Tsubasa just yet. 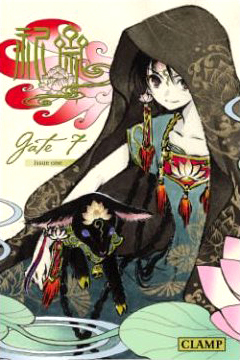 Back in December, Amazon.ca gave fans their first real glimpse of the new mini-series, being simultaneously published in North America, Japan and Korea in 2009, with a description for this first installment, Gate 7.